When it comes to the care of your child’s eyes, you want a warm, knowledgeable physician that you can talk to, a friendly staff that is always willing to help and an accessible office. Dr. Patterson takes time to discuss your child’s diagnosis and recommendations for treatment. The more we know about you and your needs, the better we will be able to work together to ensure that your child has the best vision possible. The Children’s Eye Center is a referral practice providing services ranging from complete eye exams to complex medical and surgical treatment of pediatric eye diseases and adult eye alignment disorders. Dr. Maria Patterson is on staff at the Children’s Hospital of Wisconsin in the department of ophthalmology. She received her MD and ophthalmology training at the top-ranked University of Pennsylvania School of Medicine and the Children’s Hospital of Philadelphia. Dr. Patterson completed her surgical training in pediatric ophthalmology and strabismus at the Duke Eye Center in North Carolina. As a pediatric eye subspecialist, she is experienced in the management of strabismus (pediatric and adult eye misalignments), amblyopia (lazy eye), genetic eye diseases, pediatric cataracts, blocked tear ducts and anything else that can affect a child's eyes. The Children’s Eye Center was established by Dr. Patterson in 2001 to provide the best outcomes for all pediatric eye problems and adult strabismus. She is board certified in Ophthalmology and an active member of the American Association for Pediatric Ophthalmology and Strabismus. 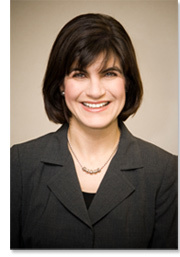 In addition, she is a fellow of the American Academy of Ophthalmology, the American Academy of Pediatrics, the Wisconsin Academy of Ophthalmology, and the Waukesha County Medical Society. She serves on the Board of Prevent Blindness Wisconsin, an organization that provides community-wide vision screening services to aide in the early detection of childhood eye diseases. Dr. Patterson and her husband, Andy, live in Brookfield with their children, Sam and Katina. They are actively involved in their church and community.